At the south western most of Sarawak lies a town call Sematan. It’s the last township in Borneo since it lies at the tail of Borneo. Please refer to the map at the bottom for the location of Sematan. If you look at the following map, Sematan is really located at the end of Sarawak. 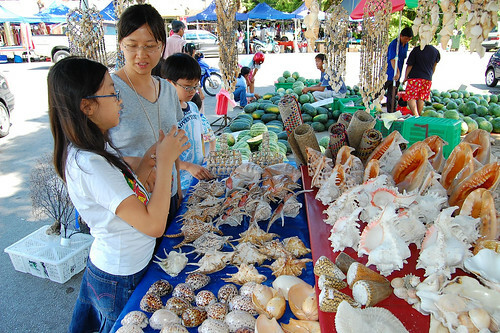 Apart from its unique location, Sematan is a famous old seaside market located on a river mouth harbor. Since time immemorial, traders from the Malay Peninsula, the Straits and Kalimantan (Indonesia) have been coming here for a long long time. Even until today there are still boats laden with merchandise from around Borneo coming to this township for trade. attractions in Sematan. Photo courtesy by bentingsh in Flickr. 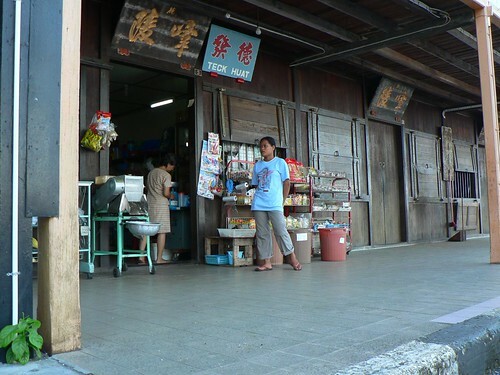 Besides being a market place, Sematan is also a place for seafood lover whereby there are a number of sundry shops and coffee shops where seafood is high on the menu. One of the things you notice in Sematan is that anywhere you look you will see the sea. The township is almost surrounded by sea and a mountain called Gunung Pue which is believed to be protecting the village. are still in business today. Photo courtesy by eugenethephotobug in Flickr. There are a couple of attractions in Sematan. First, it’s the mountain Gunung Pue with its winding paths through the forest, its rocks, streams and waterfalls which have all contributed to Sematan’s hidden attractions. Besides, there is also the Selakau longhouse sitting in a quiet valley nearby. 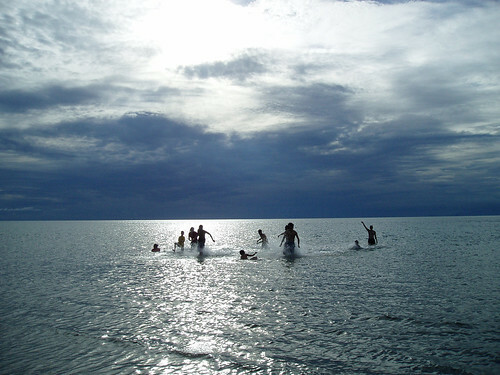 The shallow crystal clear water along the beach makes Sematan a safe swimming heaven. 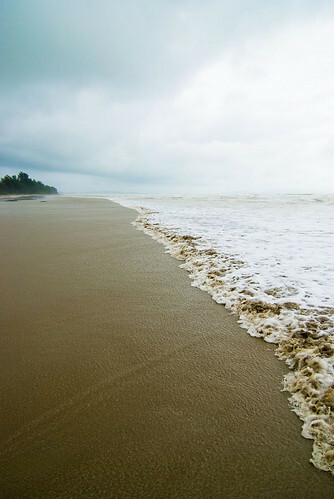 Its unexploited coastline makes it a safe place for marine turtles nesting in the sanctuary talang-talang islets. Sarawak. Photo courtesy by dankit in Flickr. The long white beach stretching from Sematan all the way to Tanjung Datus, the western most cape of Borneo, is also a nesting place for the marine turtles since it’s mostly devoid of human footprints. If you come at the right time, you might be lucky enough to catch a glimpse of the little turtle hatching from their eggs. In the evening, there is the fishermen putting out their nests into the blue deep ocean. You could also explore some beautiful islands scattered offshore. 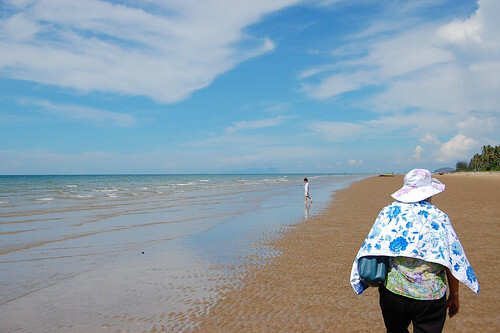 All in all, Sematan is the place for you if beach activities as well as nature exploration is your cup of tea. of sea shell. Photo courtesy by bentingsh in Flickr. Sematan is outdoor enthusiast’s heaven especially for mountain bikers. Mountain biking is a big activity here. Riders take their two wheelers practically anywhere in this town. They go up and down mountain paths, across small streams as well as cycling along the firm sand on the tide line. It’s such a fun and a challenge for mountain biking here as riders have to face lots of difficulties such as taking their bikes to cut through thick forests as well as loading their bikes into boats for crossing streams and rocky bays. On waters, there is more than just fishing boats these days. This quiet town is blasted by speed boats taking visitors to cruise around the island and to do some sight-seeing from Santubong to Tanjung Datus. On a quieter side, you can see kayaks plough through the sea water. Kayaks and mountain bikes can be rented by anyone game to try. Besides, diving is also getting popular in Sematan. But the trip has to be arranged beforehand. Therefore, ask your tour operators before coming. courtesy by Xping in Flickr. Sematan is about 120km from Kuching. Driving takes around 2 hours. People usually come from Kuching and they usually come in cars, in four-wheel-drive, in buses, and even in bicycles due to improved road condition. With the road getting better, it’s possible for visitors driving from Kuching coming for a day of fun, sun and sea and return home in the evening. But they are encouraged to stay overnight or better a few nights in a row in order to fully appreciate Sematan. There are a few lodging places in the area. There is even a home stay village at Telok Melanau. 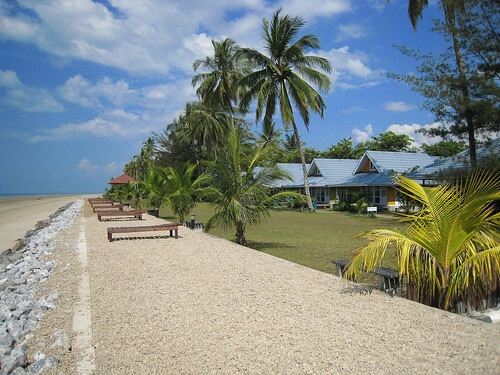 There are a couple of small hotels in the district town of Lundu. Beach resorts ranging from basic huts to well-constructed chalets are springing up due to flourishing of tourism activities. If you were the adventurous type, you have the option of spending night in a tent under the star by the coast though this might turn chaotic if a sudden squall might shakes the canvas. This will definitely be an eye-opening experience for someone who hasn’t experienced this before. Among all the resorts, the popular one goes to Sematan Palm Beach Resort. The rooms are usually required reservation in advance. It’s the main choice among the scuba divers from Kuching and other places. The resort is based on chalet type accommodation. The rooms are open-plan A-frames with upstairs and downstairs bedrooms and other are quadruplex cottages. There are family rooms consist of two linked rooms which can sleep up to six persons. Heads count tend to be flexible. There is no big fuss over one or two extra persons per room. The main attraction at this resort is the sea and landscape. It comes with restaurant that offered home cooked fare. Dinner and breakfast are included in the standard tariffs. Barbecue pits are available. Bottom line: choose the transport you like and standard of comfort you require, but dun miss out on Sematan. 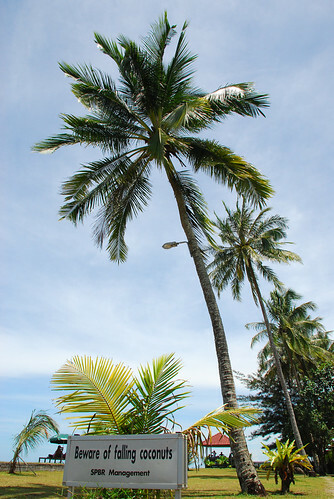 Coconut trees are a common sight around Sematan Palm Beach Resort. Photo courtesy by elaine@eianling in Flickr. Kuching Waterfront – This 900m long esplanade, with landscaped surroundings and eateries, is a popular place for locals and foreigners alike. Places of interest here are The Square Tower, Sarawak Steamship Building and Chinese History Museum. A nearby attraction is the ornate Tua Pek Kong Temple, reputed to be the oldest in the city. Semenggoh Wildlife Centre – Enjoy the amazing experience of standing close to orang utans in their natural habitat. Watch them swing gracefully as they make their way here during the feeding times. Other attractions include an arboretum, fernery, botanical garden and fruit orchard. Matang Wildlife Centre provides the opportunity to view animals in enclosure.